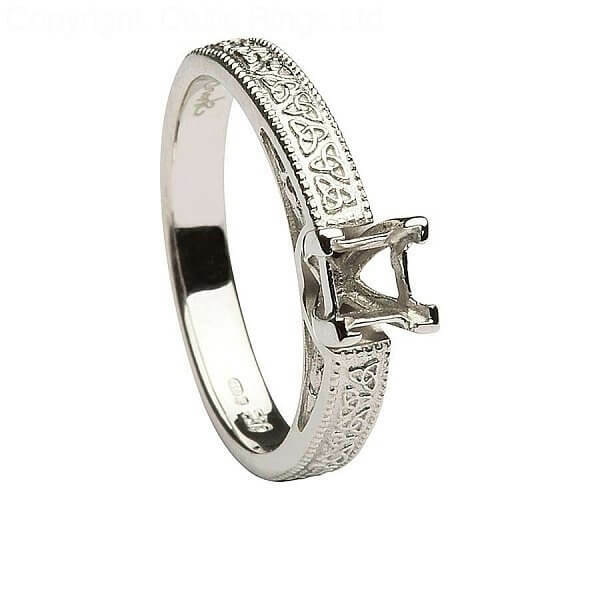 A coolly sophisticated vibe emanates from our brilliantly beautiful 14k white gold Princess Cut Celtic engagement ring. 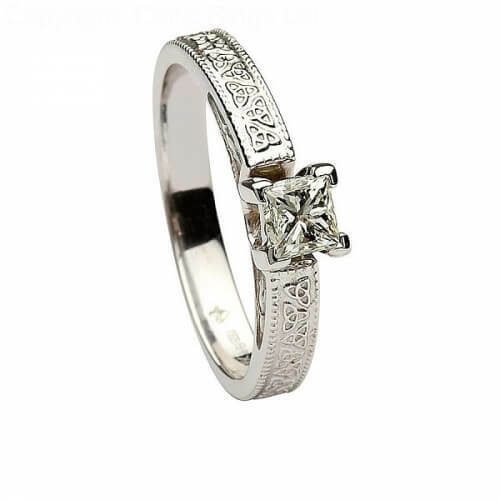 The sparkling clarity of the four prong diamond solitaire setting is echoed in the white gold of the band, giving a modern touch to a classic solitaire engagement setting. 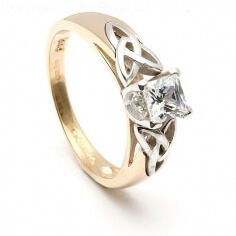 The band is adorned with the Celtic symbol of love, the Trinity knot, in pattern that tumbles between two framing rows of light-catching crown studs. 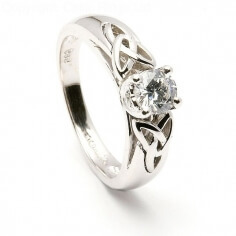 Like all of our rings, this setting carries the Dublin Assay Office hallmark, ensuring its quality.